YBN CPC Range is 0.05$ – 1$. If you are running a blog or website because of getting some money. As all of you know that Google Adsense is known by it’s high CPC/PPC rate. Google Adsense is world wide used ad network, millions of website getting Adsense on daily basis. Google Adsense is Google market and highest paying marketing the world then Why would anyone want to use Google Adsense Alternatives when Adsense is the best? So answer is very simply and easy, there are many reasons why a blogger would want to use Google Adsense alternatives, few of them mention here. So here is mention some disadvantages of Google Adsense due to which blogger now turning other ad providing networks, so here is the list of top 10 best alternate of Google Adsense. I think one of the largest ad network in the world after Adsense, they will not pay you like Google Adsense or PPC, they will pay you for Ad space sold, mean to say that you have no need to search best advertiser, they will give to advertiser, advertiser will buy space on your website, about payment they will pay you 75% of payment and 25% they will keep. This is the Yahoo-Bing ad network and this PPC ad network pretty much gives you an idea of just how dominant Google’s PPC ad network is. Internet giants like Yahoo and Microsoft actually had to combine their efforts and resources in order to offer a viable ad network alternative to AdSense. Media Net gives you relevant ads, and you also have tools to track your performance in real time. You can control how the ads look so that they fit right in with your color palette, and you can filter advertisers and block ad topics. While the number of advertisers can actually compare to Google’s, the conditions for being approved may actually be more difficult for many international bloggers. Aside from the usual conditions such as having high quality traffic and content, your site’s visitors should mostly come from the US, Canada, or the UK. You’re also required to use English as your site’s primary language. I think one or two time I use this program but I was not really impressed by it but you can try it, approval of Bidvertiser is so easy but it has very low CPC, I think CPC Range is 0.01$ – 0.2$ which is very low cost, you can receive pay via Paypal if you cross balance limit 10$. Chitika, Inc. is a search-targeted advertising company. Chitika is a PPC ads network, I personally used Chitika few years on my blogs, if you have good amount of traffic on your blog, and you can get really good CPC clicks. Approval on Chitika is very easy, need of specific page view or traffic, Chitika CPC Range is 0.01$ – 1$, you can receive payment via PayPal when your balance crosses $10 or you can receive payments via check (minimum balance must be greater than $50). I am also using infolinks on my other two blogs, this is also best alternate of Google Adsense, for infolinks approval you need a textual website or blog, if you have 15-20 textual post then you will approved by infolinks, there is no need of any other things, Infolinks will pay you according to PPC, Infolinks CPC Range is 0.001$ – 0.30$ and payment method also very easy, if you have 100$ you can receive payment via. Western Union, Wire Transfer, you can receive by Payoneer pre-paid debit card. Clicksor is reliable alternate of Google Adsense but good enough, it offers banner, text and pop up ads. Clicksor is very easy to approve, there is no such requirements to get approve you can just sign up and you can get account here, clicksor CPC Range is 0.01$ – 0.5$, $2+ per 1000 views of pop-ups (CPM), you can receive payment via. Payout if you have account balance more then 50$. This is one of the more well-known PPC ad networks right now, and their premium brand advertisers can be seen in a lot of popular high traffic sites. Their PPC rates are among the highest in the industry, but the catch is that they just don’t let any website join in the fun. They have to consider your site to be a premium site, and one of the conditions seems to be that you ought to get at least half a million page views each month. The usual publisher guidelines are also in play, so this means you can’t have anything to do with adult, gambling, drugs, profanity, hate speech, violence (you can’t even sell stun guns), or just about anything illegal. The types of ads Vibrant Media has are quite innovative, with 11 intext ad formats available to use. This includes expanding video boxes, multi-button videos and expandable flash. There’s also in-image advertising, which a lot of visitors find professional and unobtrusive. The ads are so effective that the click through rates can be 5 times higher than the ads generated by AdSense. They also look great on mobile devices like tablets and smartphones. So if you are already successful in luring lots of visitors to your site, you can leverage that popularity by joining Vibrant Media and partnering with other premium advertisers. Another alternative of Google Adsense is Exit junction, if you have good amount of traffic on your website then you can earn more effectively by this program, it work different ways, it will show relevant Ad as a pop up window to a visitors, so you can get easily account here, Exit Junction has a fairly good CTR, You can receive payment if you have minimum amount $50. Very good alternate of Google Adsense, Tribal fusion is one of the popular CPM Ad network but so difficult to get approve, there are some requirement such as more then 50,0000 page preview per month, you need top-level domain URL, A professional and attractive site design and few more, if you have good enough traffic then you can get account here, you can receive Tribal Fusion payment via. Paypal, CPM Rates of Tribal Fusion is $0.20 to $ 1. 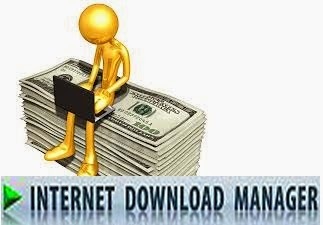 The Internet Download Manager (IDM) Affiliate program is an easy way for you to earn money by promoting Internet Download Manager. At present time Internet Download Manager is a very popular application with more than 5,000,000 registered users worldwide. It’s editors’ pick on most poplar downloads sites like CNet, ZDNet, Hotfiles, download.com and others. Most people like Internet Download Manager (see user opinions) and they purchase it before or after the expiration of the trial period. 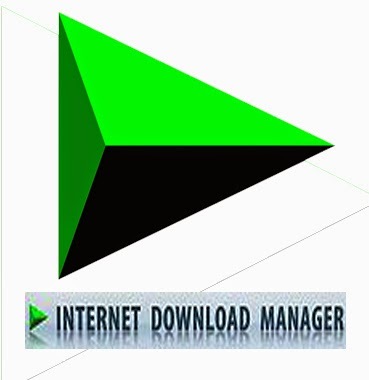 Because of the popularity of Internet Download Manager, you can earn generous referral fees simply by linking to Internet Download Manager from your web site, and having visitors click from your site through to our web site to download free trial version of IDM. Share-IT will handle all of the sales, customer service, and tracking of sales generated from your site. Currently we will pay you 20% of any single sale of Internet Download Manager that have been tracked and originated from your website. The good thing about this program is your referrals don't have to purchase anything right away. They might visit your website, then go to Internet Download Manager home site and download the software and try it out for a month. You still will get the credit for the sale. Join for free and earn 20% for each sale your website generates. Place Internet Download Manager banners, marketing slogans, etc. on your site (see below). You may set the download link to your banners, popular pages and don't forget to replace YOUR_SHAREIT_ID with your actual affiliate ID number. This way we will credit you for all purchases of IDM downloaded by visitors from your site. Recommend our products and refer your visitors to download IDM. Receive checks with your generated sales monthly. Please note that this technology will not work in specific countries where we sell IDM only via local resellers. You can check if you can purchase via shareit by visiting our purchase page. If you see shareit purchase option on the purchase page, you can purchase IDM and affiliate system will work for your country. if you have cookies set to your affiliate ID as above, our purchase page will redirect you to shareit purchase page immediately. Nothing. Joining the Internet Download Manager Affiliate Program is free. Do You Need Your Own Web Site? You need some space on the web where you can put the links for referring visitors to Internet Download Manager site. The tracking system which gives you credit for referrals, requires that you link to our web site using a special URL containing your affiliate code. The only way to ensure that your referrals get to the Internet Download Manager site using your special links is for those links to be present on your web site. Bidvertiser is a pay per click network founded in 2003.Bidvertiser's business model is to auction your ad space to advertisers and sell it to the highest bidder strictly based on PPC. They even pay you $20 for just registering as a publisher or as an advertiser. Joining Bidvertiser as a publisher or advertiser is not difficult. Bidvertiser does not require your site to have certain minimum impressions per month or year, and their Ads are based on CPC. Bidvertiser also has a referral program. Bidvertiser pays you as follows for your referrals. Through your referral link when an advertiser sign up and first spends $10, your account will be credited $5. When that same advertiser spends $50, an additional $20 will be credited. Support is one of the prime factors when any company is reviewed. Whenever Bidvertiser was contacted through the e-mail, their response was quick. However, they mostly mailed a one liner which did not resolve the problem. Their support is definitely not as good as Adbrite or Chitika. Minimum payment amount is $10 for PayPal and $50 for check, paid on every thirty days (NET30). Clicksor is a pay per click contextual advertising program from the company Yesup, the same company which runs PayPopUp, InfinityAds, AsiaTraffic and AdPreference. Contextual advertisers return the ads based upon the result it gets from the metatags or keywords from the webpage. Clicksor enables you to earn money with inline text advertising, it uses keyword based contextual technology to serve ads related to your blog’s content that means if your blog is related to earn money online then it will show ads related to earn money online which will increase your click –through rate. How much you can earn with Clicksor? Through Clicksor advertising network publisher get 70 to 80% of revenue generated by their website or blog. It also pays you for refering publishers and advertisers. Whenever a publisher or advertiser becomes a member of Clicksor through your referal link you get 10% commission, if it is a publisher then you get 10% of their daily earning and if it is a advertiser then you get 10% of their daily advertising investment. This is the best reason to join this affiliate network, this will increase your chances of money making online. There are various ads formats available like image advertising, inline text advertising, and various size of image ads available for advertising. Clicksor support is good. We have used their e-mail support system and the response was within 48 hours. Here are some features you can use to make money with Clicksor. If you own a website, you can use it to make money by adding Clicksor ads. As a publisher, you receive up to 60% revenue share of advertising revenue. Your minimum payout is $50 and you can get paid every 15 days.Become a Publisher. Advertise your products or services on over 100,000 publisher websites across the internet. With real time traffic report, you get up to the minute info on how well your ads are performing. Referral Program - Earn 10% commission of daily earnings from referred publishers and daily advertising spending of referred advertisers. You can use text links or choose from a variety of banner ads. You also get paid every 15 days .Register here. Clickor shares 70% of the ad revenues to the publisher. Clicksor pays on a net-15 basis or two times a month. That is very fast. However, the minimum payout is 50$ and for small publishers, it would take some time to accrue the earnings to 50$. Chitika is a company based out of Westborough, MA and is a primary non-contextual advertisng company. In contextual advertisng, the publisher script filters the website for keywords and returns advertisements based on that keywords. Google adsense is the market leader in contextual advertsing and Chitika being a non-contextual program is a very good choice along with adsense or an adsense alternative. Chitika is very good for many websites where adsense results are poor. For example, Chitika can show relevant ads for a site with very few text and lot of video content. Likewise, local sites especially do well with Chitika ads than adsense. This is because Chitika scans the search strings that we used to reach the website. Chitika also has the referral program for bringing in publishers where they pay you 10% of what is earned by your referral for 15 months from the registration date of referral. Furthermore, Chitika has the advertiser referral program where they pay you 25$ when the referred advertiser spends 100$. Click Chitika and sign up for a no obligation account today. Chitika support is fairly good. The usual response time from Chitika is within 24 hours which is very fast. Furthermore, they have a very good knowledge base which answers so many questions. Chitika advertising rates and revenue. Chitik ad network and Google adsense. You can use Chitika ads besides AdSense ads on the same page, as Chitika ads are non-contextual and do not look like AdSense units. Chitika online advertising network pricing. It's pricing based on CPC (Cost per Click), PPC (Pay Per Click), CPM (Cost Per Mille) and unique to others advertising ads, Pay-per-call for mobile ads. Chitika pays on a net-30 basis. That is they pay like Google Adsense. If you have accumulated 10$ by March end, you will be paid by the April end if you have opted for paypal. You have two options to get paid from Chitika. How to Verify Payza Account in Pakistan. How To Open Verified Paypal Account In Pakistan?